21st Amendment Brewery, San Francisco, California, goes from a manual Cask canning system that could hardly fit in to the 12 barrel brewery to a 95,000 square foot facility that can produce 100,000 barrels! A $21 million investment. All in about 10 years. Freccia and O’Sullivan met in 1995. Both had just moved to the Bay area when they heard the calling of beer. O’Sullivan, a former photographer and paralegal, “traded his suits for boots and was saved by beer”. He moved to Berkeley and took a job as assistant brewer at the Triple Rock Brewery. Freccia, a writer, actor and, by extension, restaurant professional, was also an avid homebrewer. Frustrated with the lack of beer culture in the L.A. area, he moved to San Francisco and began writing for the Celebrator Beer News, the west’s largest beer publication. Freccia and O’Sullivan met, became friends and, while sitting together in a class on brewing science at UC Davis, hatched their plan for what would become the 21st Amendment. At the 21st Amendment, they celebrate the culture of the great breweries of old, making unique, hand crafted beers, great food, and providing a comfortable atmosphere that invites a sense of community. In addition to eight rotating taps of multiple award-winning hand-crafted house beers, the pub has been voted “Best Brewpub”, “Best Burger” and “Best Happy Hour” by the San Francisco press. Due to their success, they looked at ways to expand and as part of their growth strategy, they started canning their beers in 2005 with a Cask manual canning system. It was a no brainer. When we started looking at canning, it was late 2005 and [co-founder] Shaun[O’Sullivan] had come back from GABF and visiting Oskar Blues. We’d been talking about how we could grow the business without building another brewpub and he said, “I got it, we’re gonna take the beers we sell at the brewpub and sell them in cans.” I said, “That’s the stupidest f*****g idea I’ve ever heard! Why would you do that?” Nobody on the West Coast was doing that. We started looking at all the reasons why it made sense. Then there’s the portability and recyclability. The biggest clincher was the lifestyle. We have a lot of bike messengers here and on their weekend rides they’d bring 6-pack bottles that would break and were heavy. The more we thought about it, the more it was a no brainer. We saw this as our unique selling proposition. And that strategy was a huge success. They grew beyond their capacity there and then moved most of the production to Minnesota in 2008 while still manually canning in the brewpub. However, they have outgrown even that space, which has a capacity of about 60,000 brew barrels. They had sales of $15 million in 2013. They stopped entering new markets because they couldn’t keep up with the demand since they didn’t have the production capacity. Earlier this year, they announced a $21 million investment in a new production facility, located in San Leandro, Calif. Per a statement from the company, 21st Amendment will begin producing and shipping beer out of the 95,000 sq. ft. space this June, enabling it to expand deeper into its home state, it said in a statement. At the time of the project’s announcement, the company told Brewbound the facility would have an initial capacity to brew 100,000 barrels in a year. In April they announced that they had inked a deal with Stone Distributing, the growing wholesale arm of Stone Brewing, to bring its beers to southern California. Per the terms of the agreement, Stone will distribute 21st Amendment beers – including Hell or High Watermelon and Brew Free! Or Die IPA – throughout San Diego, Los Angeles, Orange County and the Inland Empire, effective May 11. And for the first time ever, Chicagoans had easy access to their recognizable lineup of craft cans – thanks to their new Midwest distribution footprint that began April 1 in the city. 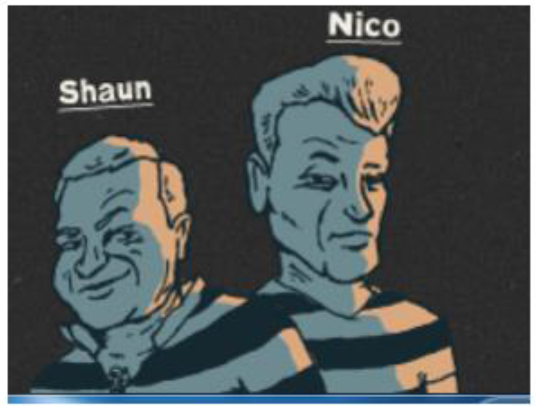 We congratulate Shaun and Nico on their wonderful success!